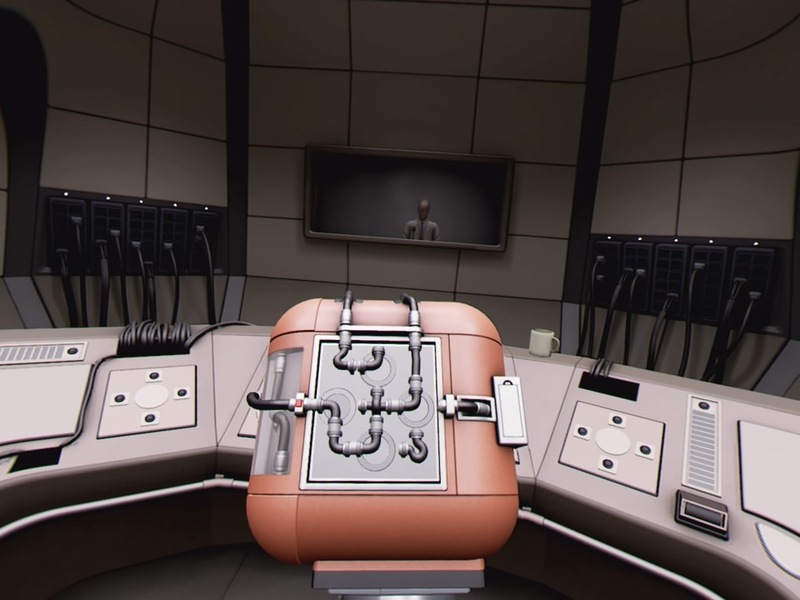 Statik is a new puzzle game for PlayStation VR. You’re sat in a chair with a box encasing both of your hands. On the outside of the box are multiple puzzles which demand to be solved but little clue as how to proceed. It’s certainly interesting. The DualShock is your way of interacting with the world. You can rotate it in all directions and push all the buttons. Depending on the puzzle each button does something different, apart from clicking in the analogue sticks. These will always perform the same function of being a positive response on R3 and a negative one on L3. You can inspect the box from all sides, the puzzles usually exist on the front, left and right. You’ll start by pushing all the buttons on the controller randomly and moving the sticks to see what exactly you can interact with. Sometimes moving the dpad will change a number on a dial, sometimes pressing will toggle a switch, pressing might cycle through numbers on a rotary phone. Every puzzle is different so getting your footing early on in a puzzle is very important. Once you’ve established what you can do you need to figure out what you have to do. Yes you can toggle this switch but to what end? This is where things get tricky. A scientist, his face mosaicked out, watches over you as you struggle to solve these puzzles and beyond a little chat at the beginning and the end he has no interest in helping you. It doesn’t matter how long you sit there, stuck, the game doesn’t drop any hints. All you can do is look around the environment you’re in, usually a room in a lab or some such, and hope to spot a clue to one element of the puzzle. That door is a striking colour blue, is it that way for a reason or is it just a blue door? That poster stands out, that must be important, but how? These are all the thoughts that are going to go through your mind as you wrack your brains for an answer. This happened to me on pretty much every puzzle. There were times where I was tempted to just check for a hint online but I never did and when I finally found that thread of progress I pulled on it and the rest of the puzzle would reveal itself, much to my delight. Time is difficult to keep track of in VR but I reckon I was probably just looking around for at least half and hour multiple times, probing, hoping to spot something new. Anything. Once you make that first step then progress tends to go reasonably smoothly from then on but that entry point is set purposefully high. If you’re one to get frustrated easily then you may be in for a tough time. Your reward for completing a box puzzle? You’re sent to sleep by a needle in your arm and you wake up in the next level. Although the puzzles are the main meat of the game more story centric levels bookend most of them. A few times you’re put in front of a projector and asked to respond positively or negatively to the images you’re shown. Do your responses matter? I’m not sure they do, but it builds the world a little more, giving you a bit more insight into why you might be in this scenario. The other type of level has you, now body-less, inside a sphere which seems to be filled with water. Here you can hear the scientist’s conversations with other people and as you complete other puzzles, pieces of a new puzzle appear in front of you, impossible to complete until you get to the end of the game. 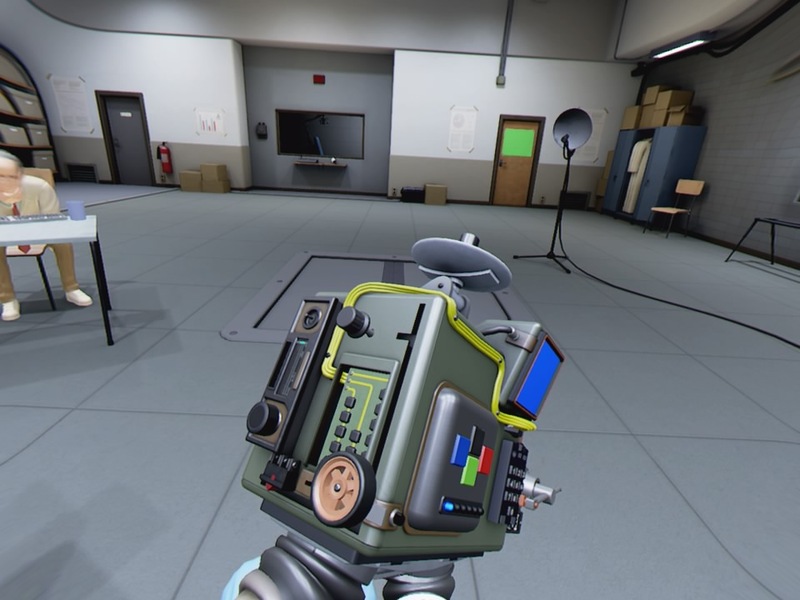 There are eight main box puzzles in the game and first time through took me between two and three hours (again, difficult to keep track inside VR). Depending on how stuck you get that could be greatly shortened or greatly increased. I went back to some of the puzzles later and completed each of them within minutes now that I knew what to do so mileage could vary massively. The story didn’t resolve in an incredibly satisfying way for me, but that didn’t dampen my enjoyment of the game as a whole. The atmosphere as you sit there, your hands constrained by this box as you struggle to figure out the puzzle in front of you is great, always uncomfortable but not necessarily threatened. There is a secret ending if you meet some hidden criteria in each level but that doesn’t explain things any more clearly, if anything it just adds another level of intrigue. So is Statik for you? Do you have PS VR? Do you enjoy puzzle games? Do you have the self-restraint to not cheat yourself by looking up the answer? It is quite short lived for the price and is more of an experience than an interesting tale, but the puzzles taxed my brain and felt rewarding when I overcame them. The feeling of immersion is strong, to the point where if you’re able to you may just play through the whole thing in one sitting as I did. 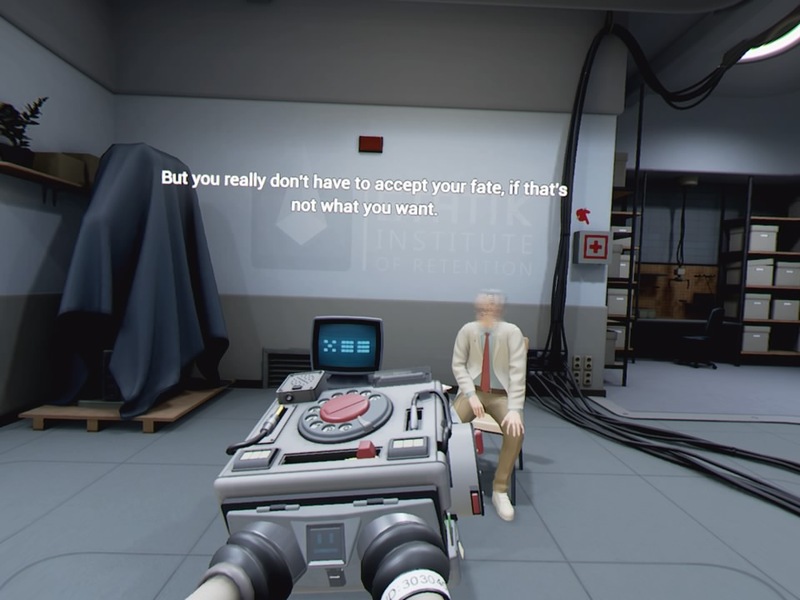 It won’t be for everyone but if you’re interested in the concept and not put off by the price to content ratio then you should definitely give Statik a look. 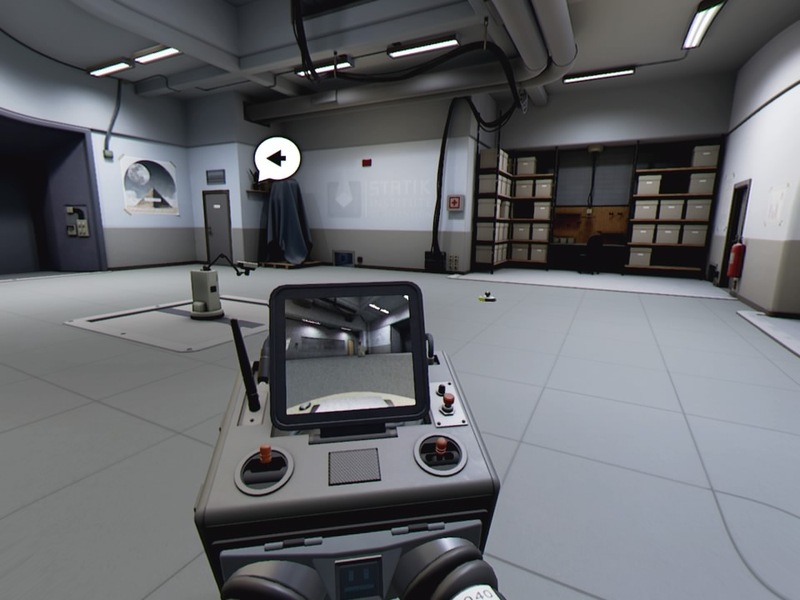 It’s a little too slow paced and complicated to be a game to show off VR to people, but if you own a VR headset then this offers a unique experience. 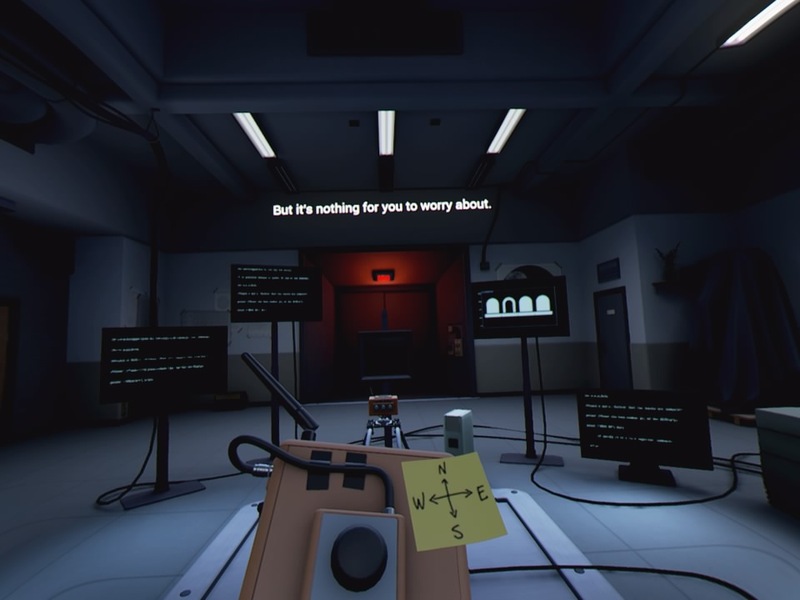 Statik offers an immersive experience with some very tricky puzzles. It's not particularly long but its lack of hand holding makes it all the more rewarding when you make progress.